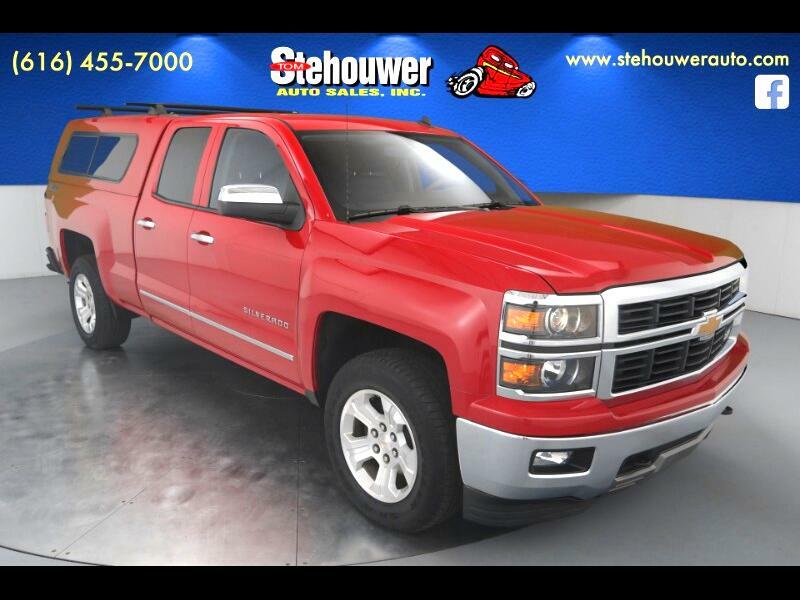 2014 Chevrolet Silverado 1500 LTZ 4WD EcoTec3 5.3L V8 Flex Fuel 6-Speed Automatic Electronic with Overdrive CARFAX One-Owner. Clean CARFAX. One Owner, Actual vehicle shown!, Bed Topper, 6-Speed Automatic Electronic with Overdrive, 4WD, jet black Leather, 110-Volt AC Power Outlet, 150 Amp Alternator, 4.2" Diagonal Color Display Driver Info Center, 6 Speaker Audio System, Auto-Dimming Inside Rear-View Mirror, Auxiliary External Transmission Oil Cooler, Bluetooth® For Phone, Chrome Bodyside Moldings, Chrome Cap Power-Adjustable Heated Outside Mirrors, Chrome Door Handles, Chrome Grille Surround, Chrome Mirror Caps, Color-Keyed Carpeting w/Rubberized Vinyl Floor Mats, Deep-Tinted Glass, Driver & Front Passenger Illuminated Vanity Mirrors, Dual-Zone Automatic Climate Control, Electric Rear-Window Defogger, EZ Lift & Lower Tailgate, Front Chrome Bumper, Front Frame-Mounted Black Recovery Hooks, Front Halogen Fog Lamps, Heavy-Duty Rear Locking Differential, Hill Descent Control, Leather Wrapped Steering Wheel w/Cruise Controls, Manual Tilt Wheel Steering Column, Off-Road Suspension Package, OnStar 6 Months Directions & Connections Plan, Power Sliding Rear Window w/Defogger, Power Windows w/Driver Express Up, Preferred Equipment Group 2LZ, Rear 60/40 Folding Bench Seat (Folds Up), Rear Chrome Bumper, Rear Vision Camera w/Dynamic Guide Lines, Rear Wheelhouse Liners, Remote Keyless Entry, Remote Vehicle Starter System, Single Slot CD/MP3 Player, Steering Wheel Audio Controls, Theft Deterrent System (Unauthorized Entry), Trailering Equipment, Universal Home Remote.